Hi loves! I don’t know about you, but I am obsessed with taking baths and anything bath related! 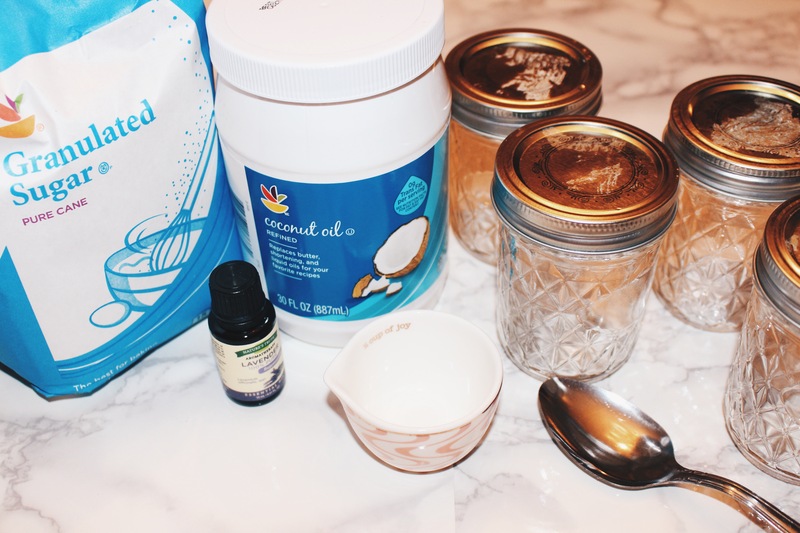 I recently came across a recipe on pinterest for DIY sugar scrubs. I love sugar scrubs and exfoliating my skin! I made holiday themed ones during Christmas time for my family and they loved them so I thought I would do a Spring themed one with Lavender and share it with all of you! I hope you all enjoy this post! If you are making more than one repeat all the steps until you have all your scrubs complete (I made 4 sugar scrubs so I repeated the steps 3 more times after the first one. 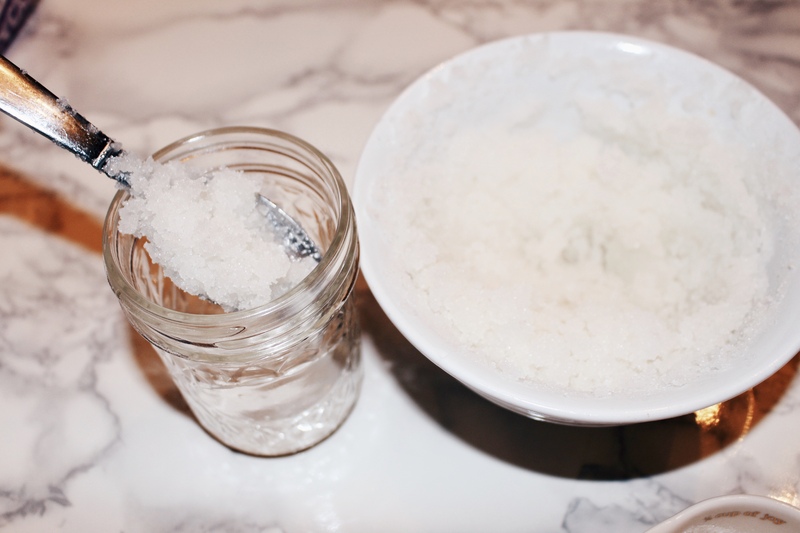 You can use the sugar scrubs in the bathtub or in the shower. I prefer to use them in the bathtub but they work in both situations. 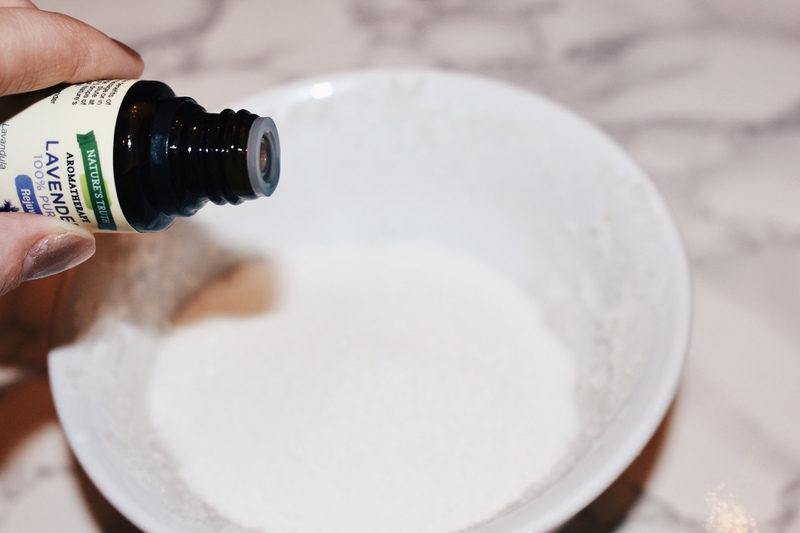 Sugar Scrubs are meant for exfoliating the skin. I would recommend only using this product on your arms, legs, and underarms for it can be hard on softer skin. 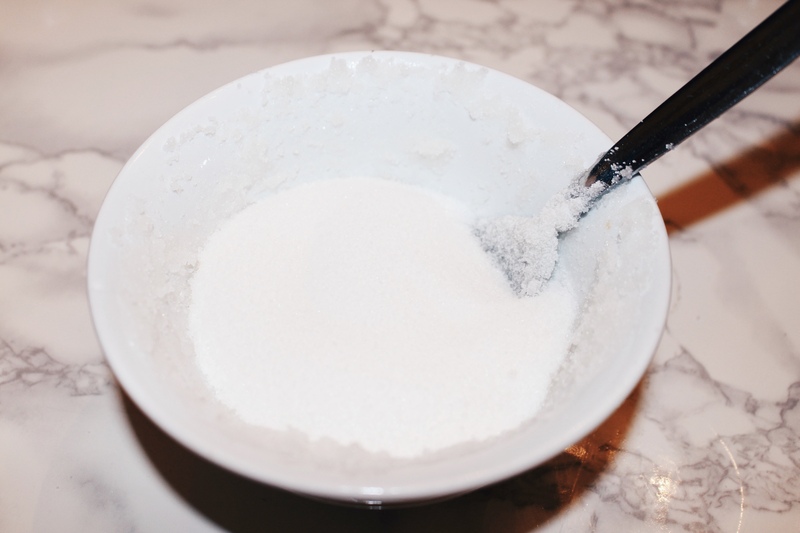 Do not use on your face (they make sugar scrubs for face use those for they are specified for the face). Using your hand or a loofa rub the scrub all over your leg. 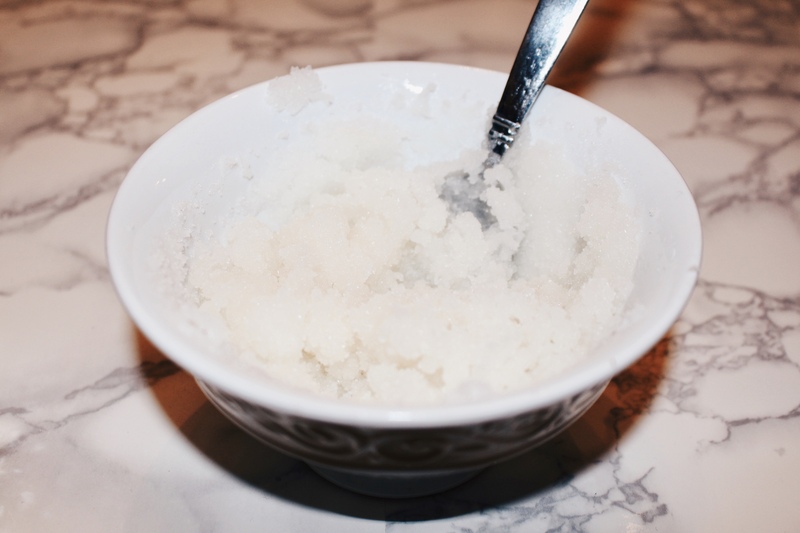 (This will exfoliate your legs, making it easier to shave). I love doing DIY’S! 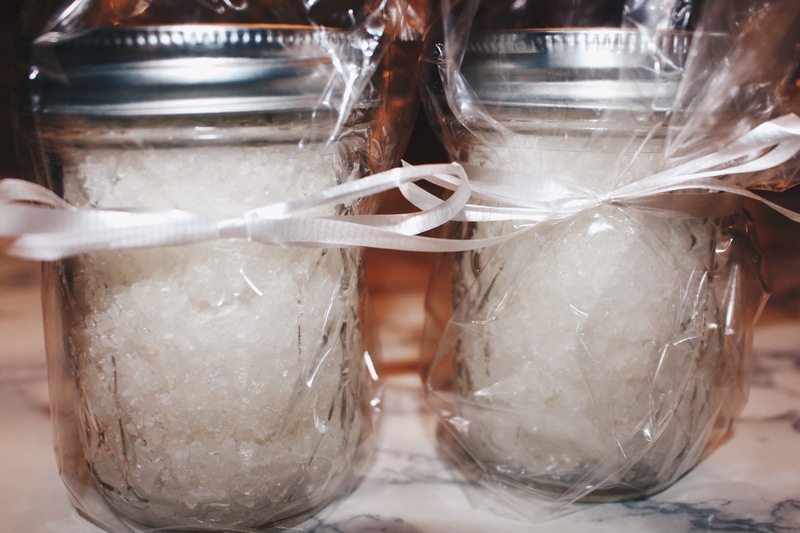 Sugar scrubs are one of my favorite bath products to use. I hope you all enjoyed this post! Let me know if you try this diy! Contact me on any of my socials with your recreations! Me too honestly it’s so easy to go and buy one but this way is safer (since you know what you’re using) and it’s cheaper too! Yes let me know if you try it out!